5000 new mothers each week will develop serious long term health problems because of the poor post-natal advice and guidance that they receive. This is the claim of Barry Fowler, author of The Kegel Legacy (ebook gbp1.99), based on a new analysis of published data. With around 60,000 births per month in the UK, it is widely acknowledged that a third of these new mothers with develop long term health problems such as stress incontinence and prolapse because they are not encouraged to follow an effective post-natal rehabilitation programme. The scale of the problem was highlighted by NICE in the new Clinical Guidelines on the treatment of incontinence in women (CG171) which stated that incontinence alone, largely caused by pregnancy and childbirth, affects between a half and two thirds of women and that there is a general belief amongst women that there is no effective treatment. NICE acknowledges that the awareness problem is so bad that many women may wait up to ten years before seeking medical help. He believes that the answer is very simple. Fowler is at a loss to explain the reluctance of the medical profession to face the problem and questions the fact that, despite intense lobbying, the new NICE guidelines ignored developments in lifestyle management and physical therapies and focussed exclusively on much more expensive pharmaceutical and surgical interventions. He highlights the example of The PelvicToner™ exercise programme which has been available on prescription for nearly three and a half years. 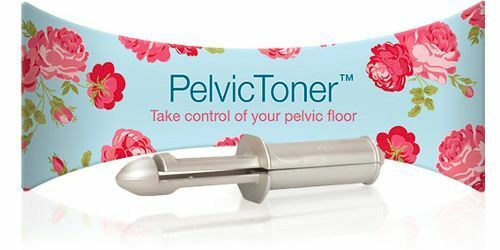 “The PelvicToner is clinically proven to be as effective as a three month programme of physiotherapy yet it costs one tenth as much and does not take up scarce physiotherapy resources.